CHARLES CITY — Matthew “Matt” Foxen, 84, of Charles City, passed away Saturday, July 1, 2017, at the Floyd County Medical Center in Charles City. A funeral Mass for Matt Foxen will be held 10:30 a.m. Wednesday, July 5, 2017, at Immaculate Conception Catholic Church in Charles City with Reverend Gary Mayer celebrating the Mass. Visitation will be one hour prior to the Mass at the church on Wednesday. Matthew Theodore Foxen, the son of Matthew and Agnes (Spoden) Foxen, was born August 11, 1932, in Osage, Iowa. He graduated from Osage High School in 1950 and enlisted into the United States Air Force from 1951 until his honorable discharge with the rank of Staff Sergeant in 1955. Matt proudly served his country stateside during the Korean War and returned to Charles City when discharged. Matt worked at Allied Construction and White Farm in Charles City. He continued working in retirement for Cedar Valley Printing making their deliveries, which allowed Matt to socialize with many people. On September 20, 1958, Matt was united in marriage to Dolores Prewitt at Immaculate Conception Catholic Church in Charles City where they made their home and raised their family. The couple was blessed with four children: Jeff, Brad, Tamara and Tracy. Matt was a member of Immaculate Conception Catholic Church. 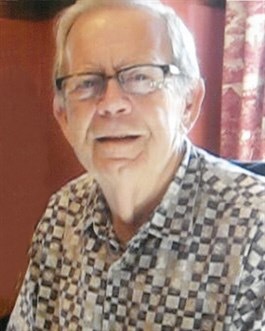 He loved playing cards, was an avid sports fan, rode on nine RAGBRAI trips across Iowa and locally, enjoyed camping and traveling. Matt loved spending time with his family, especially his grandkids. Living family members include his wife of 59 years, Dolores, of Charles City; four children: Jeff (Dianna) Foxen of Williamsport, Indiana, Brad (Jan) Foxen of Grand Rapids, Michigan, Tamara Foxen of Lafayette, Louisiana and Tracy (David) Hoppe of Barrington, Illinois; 11 grandchildren: Matthew Foxen, Mike (Katie) Foxen, Isaac Foxen, Jess Foxen, John Foxen, Dan Ziegler, Brooke (Mike) Daigle, Rebecca Ziegler, James Ziegler, Samantha Ziegler and Jack Hoppe; six siblings: Agnes Aringdale, Wilma Jean Onken, Ed Foxen, Joe (Carole) Foxen, Jerome (Bev) Foxen and Norma Jean (Dave) Crandall; along with numerous nieces, nephews, other family members and friends. He was preceded in death by his parents; sister, Mary Richards; and three nieces and nephews. This entry was posted in Obituaries and tagged Charles City, Foxen. Bookmark the permalink.